The hatch hissed as the seal between the station and the Nebre opened allowing our two new passengers to cross the threshhold. Colin’s hand and nodded politely to his wife. A familiar whistling to my left alerted me that my captain was headed this way. Mrs. Whithers gasped as she saw the captain for the first time. “Is there something wrong with your captain?” She whispered to Dr. Thorton. “Now why would you think that?” My captain said, gallantly tipping his hat and bowing to his newest guests. “Well, why are you wearing that on your head sir?” Mrs. Whithers asked pointing to my captain’s hat. The captain tipped his hat once again and headed back to the front of the ship. “Did you really have to ask the captain about his ‘choice of headwear’?” Collen asked his wife once they were behind the closed door of their quarters. Lauren cocked her head at her husband. “Didn’t you think it was odd!” Lauren asked before placing her suitcase in the corner locker. “Um, because he might just be nuts and he’s the one flying this ship!” Lauren answered. Collen shoved his bag in beside his wife’s in the locker before turning to look at her. Lauren shrugged with a long sigh and a roll of her eyes and followed her husband down to the Galley. Inside they found an old style kitchen stove and a long wooden table. Collen looked through the cabinet above the stove and found a dehydrated bag of beans and franks. Lauren grabbed a pot from the table, filled it with water and dumped in the beans and franks. Within minutes the aroma had filled the Galley. “Wow that smells good! Is there enough for one more?” The captain asked as he entered the room. “Sure!” Lauren replied, setting the pot onto the table for everyone to enjoy. “Why are there beans in my hat?” The captain asked eyeing his steaming hat on the table. “Sir, It’s not a hat its a copper pot!” Lauren objected. 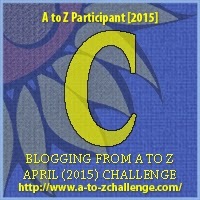 Today's post was inspired by the letter C. C is for: Copper Pot as part of the Blogging from A to Z April 2015 challenge! Click on the letter to join on in the fun! This one tops out right at 494 words. 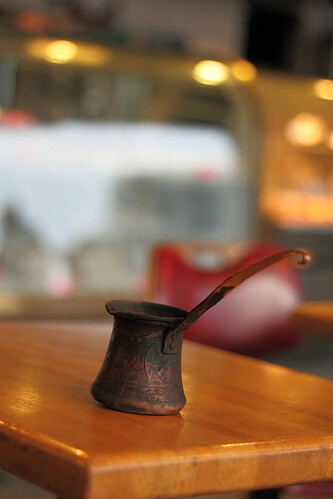 For Readers: What other things would you be willing to use a pot for besides cooking? Could you wear one like our eccentric captain here? I'm diggin' the flash fiction! Thanks, VLJ! Laughing at the idea of a pot on his head! I saw the picture and thought- that looks like a hat, wouldn't it be funny if... well you read the rest lololol. so fun! but yum beans and weenies.